I am constantly seeing people on Twitter talk about reading scary books due to the Halloween season...well I'm a great big scaredy cat and find no enjoyment in drawing out the intense anxiety that goes along with fear. I do not watch scary movies, I have no desire to be anywhere near them, Saw is twisted and deranged and all you crazy lunatics that enjoy that kind of entertainment need to be locked away somewhere...in my humble opinion of course. BUT to try and get into the holiday spirit (get it? Spirit? 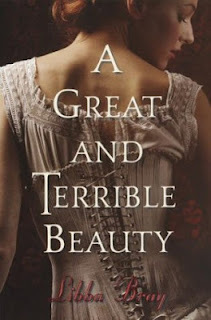 Ghosts?...No?...Alright then) I thought I would try my version of a frightful storytelling by reading the acclaimed A Great and Terrible Beauty and I was not disappointed. The story follows Gemma Doyle who recently moved from India to a boarding school named Spence in London after her mother's horrific death that had definite supernatural qualities to it. Gemma is being thrust into visions of dark creatures and she fears she is beginning to go mad. She is led to a mysterious diary of a long ago student at Spence and begins reading it with her new friends as part of their newly founded clique that they named the Order which was the same name of an occult duo of girls that dabbled in magic. The quartet of girls delve into another world entirely called the realms, a world between worlds. Along their journey things most definitely go bump in the night and evil is lurking on the periphery of this story. Gemma comes to find out that she is a missing link between the realms and the real world and there is an evil force out there trying to find her and get back into the realms where the heart of the power is. This book's dialogue is fantastic. Again, I am a sucker for historical fiction, any sort of setting having to do with the Victorian age, and girls in corsets and petticoats. The boarding school backdrop is an even bigger bonus for me. The mystery behind the diary and the events of the two girls involved really keeps the story going. I loved reading the excerpts from them and trying to piece together what actually happened...and then when you do get all the pieces it is well worth the wait. I did not see that conclusion coming at all and I loved it! I also really enjoyed Gemma's character. She is a girl ahead of the times where women were taught to be seen and not heard. She is fiery and independent and I always loved her inner monologue talking about how she goes to school with sheep. I legit laughed out loud at that part. 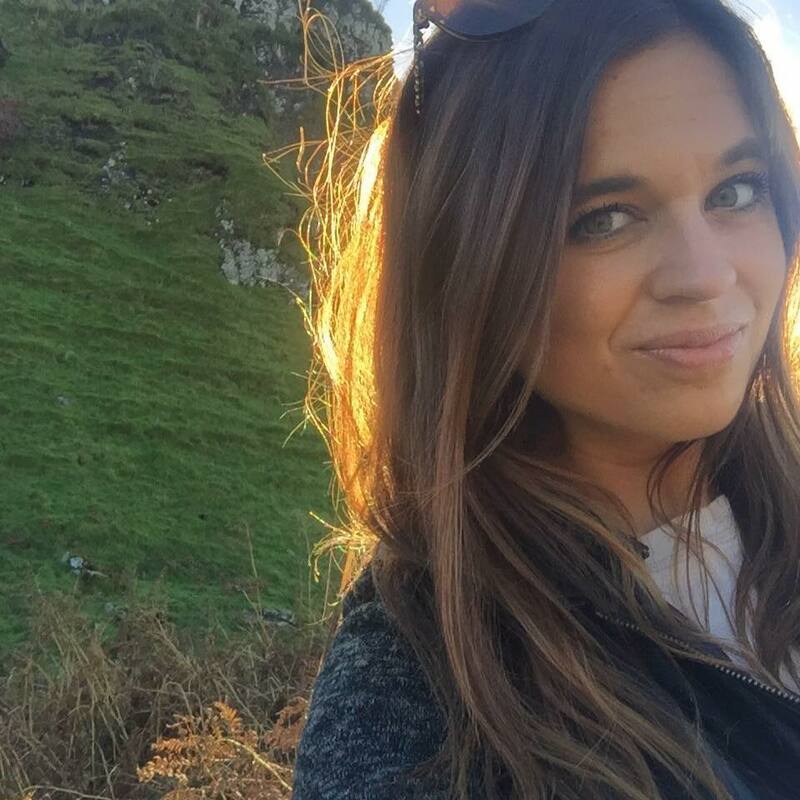 She stands up for what she believes is right and it usually has to deal with another person's treatment, she may be the original anti-bully campaign leader. She has strength that she doesn't even realize. She goes against the grain in a lot of situations for the time and it made me like her character even more. I did have a very small problem though with the building of the girls' friendship toward on another. In the end there were certain passages that made me think these girls were supposed to have undying loyalty to one another but I never really felt that thoroughly built throughout the story. Ann was always wishy-washy and just did what was most popular at the time. Pippa was quite self-centered and only cared about herself...no, wait, what Felicity thought. And Felicity herself had moments of honesty and loyalty towards Gemma but at the end of the day I wouldn't trust that girl as far as I could throw her. I wanted them to have a secret society of sisterhood that made me believe they would live and die for one another but it just was never really there for me. On the other hand though these are 16 year old girls so if we are being realistic we can't expect too much from them. As a rule they are flighty and impressionable and don't usually want to rock the boat and be ostracized. Gemma is in a class all her own on this, far above the others. Go Gemma! And who knows, maybe their friendships develops more in the next book...stay tuned. I did, however, thoroughly enjoy the parallels between Gemma and Felicity vs Mary and Sarah. Mary and Gemma are the one who hold they key to the realms and Felicity and Sarah always seemed to feel like to outsiders riding on the other girl's coat tails. I was quite annoyed in the end when Felicity tried to convince the others that Gemma only wanted power for herself, so not true. It was great for the book's plot obviously but I just wanted more depth and insight for these character's personalities. Lastly, the theme of light versus dark, good versus bad, is amazing! I love the development of this theme as you can see from my choice of quote at the top. The choices are all our own and we have to live with them good or bad. I believe we all do have good and bad inside us but it is what we do with those choices that make us who are as Miss Moore so eloquently put. The winner of the choices game for me goes hands down to Pippa. Her choice at the end of the book was so beautifully tragic my heart twisted a little. This poor girl has been owned her entire life, entirely devoid of her own choices. She wants to do things on her own terms and she finally does. Bravo to Pippa you brave, beautiful soul you. I have this one on my shelf!! I think I'm going to bump it up thanks to your review. It's actually embarrassing how long I've had it sitting on my shelf! I do love me some historical fiction!